The next scheduled performance for Zones of Avoidance is 28 June at The Birley Centre, Eastbourne, linked to a showing of Melanie Manchot’s video installation, Twelve, at The Towner gallery. Both Twelve and Zones of Avoidance are explorations of addiction and both involve the voices of individuals in recovery. Melanie Manchot will also contribute to the aftershow Q&A at The Birley Centre, which is situated immediately opposite the gallery. 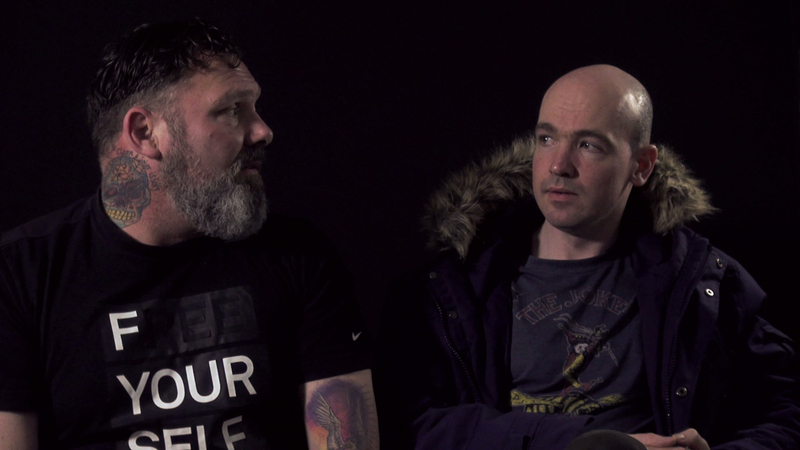 Maggie Sawkins and Mark C. Hewitt have also been developing a parallel production with members of the recovery community in Portsmouth, in which they get to tell their own stories in their own words. Written and performed by former addicts, Diving into the Wreck evokes the secret world of serious addiction; its craziness, nastiness, predictable routines and dark humour. A first performance – to great audience acclaim – was given at The Square Tower, Old Portsmouth, on Sunday 15 May as part of Hampshire Festival of the Mind. Like Zones of Avoidance, the production uses video sequences, recorded voices and live material. There’s a second opportunity to see the performance at the same venue on Friday 17 June as part of Portsmouth Festivities. On the afternoon of Tuesday 10 November, Zones of Avoidance will be presented as part of Penned Up, a unique literature festival being staged within the walls of Lewes Prison. The work will be presented for prisoners using as much of the stagecraft as possible, such as video and audio, but without the stage lighting, (there being none). This will be followed by a Q&A / discussion. Penned Up, which, so far as we know, is the first literature festival in a prison, has been developed by LLL Productions and runs from 2nd – 12th November. The first London performances of Zones of Avoidance will take place at The Cockpit in Marylebone from 29th September to 1st October. We’d love it if you could help us get the word out! “This year’s winner of The Ted Hughes Award for New Work in Poetry was the former poet laureate, Andrew Motion, for his work based on interviews with soldiers returning from Afghanistan. The previous year’s winner, Maggie Sawkins, wrote about another kind of war in Zones of Avoidance – a daughter’s drug addiction, seen through a mother’s eyes – which has now been published, with other poems, as a collection. The publication by Cinnamon Press of Zones of Avoidance was celebrated at a book launch in Portsmouth on Sat 28 March. A second book launch and poetry reading by Maggie Sawkins will be held at the University of Chichester on Weds 29 April, (5.15 – 6.15 pm). The book featuring the full text of Zones of Avoidance is published next month by Cinnamon Press. There will be a book launch on Sat 28 March, 7.30pm at The Square Tower, Old Portsmouth. Entrance is free and books will be available to buy at the event.